Step 1 - Create a Database, Tables, and Stored Procedures. First, we need to create a SQL Server database, tables, and stored procedure which we need to use in the application. Here, I'm creating a database, "CoreMaster" and a table "Job". Now, I'm going to create stored procedures for adding job, fetching job list, and updating job. The "Add Job" stored procedure is named "[SP_Add_Job]" which returns the inserted record's job Id. The "Update job" stored procedure is "[SP_Update_Job]". The "Fetch job list" store procedure is [SP_Job_List]. 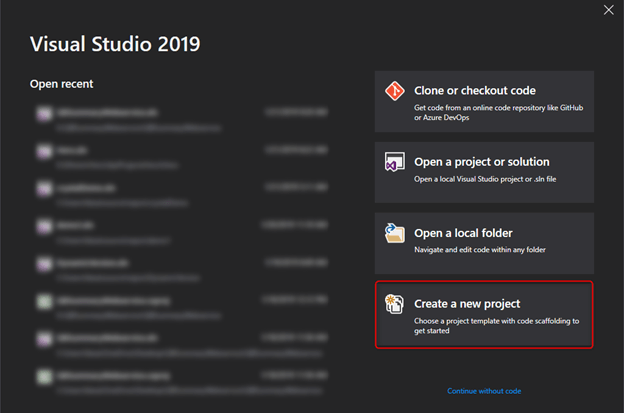 The Visual Studio 2019 welcome screen will pop up, which contains four boxes on the right side. From the above options, we need to click on the "Create a new project" box. 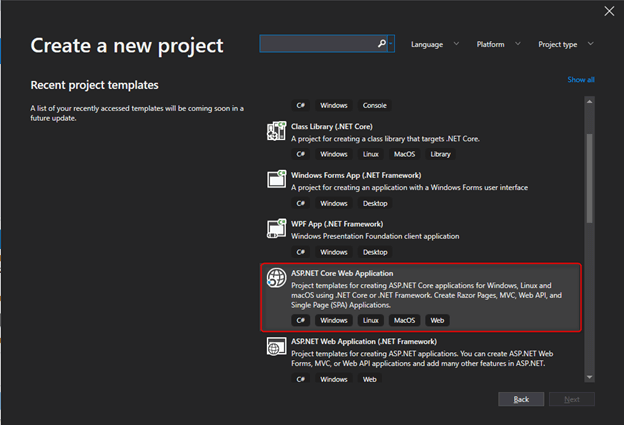 Click on the "ASP.NET Core Web Application" and press "Next". 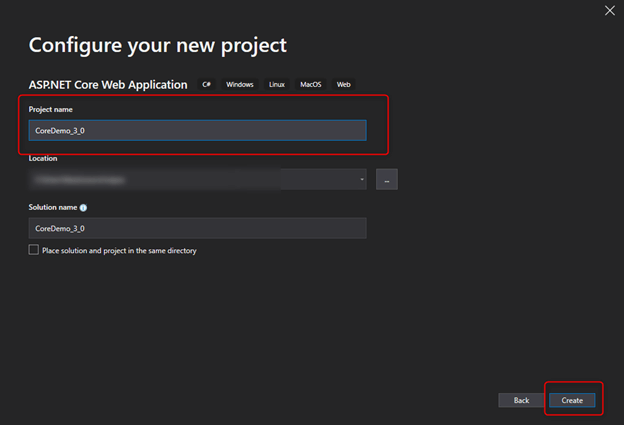 From the wizard, select "Web Application (Model-View-Controller)". 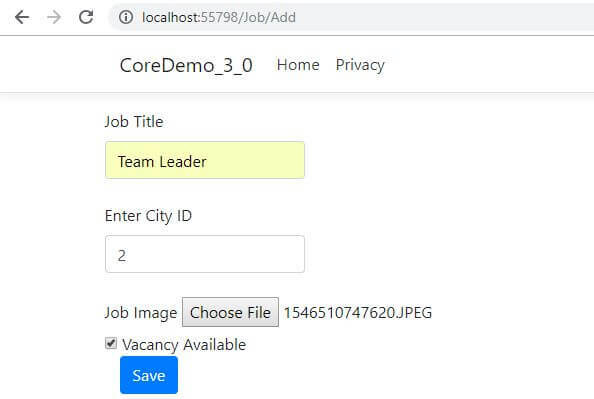 The framework must be selected as .NET Core 3.0. Then, click on the "OK" button. Put an appropriate project name and select the location where you want to create this project. Again, click the "Create" button. Now "Build" the project. 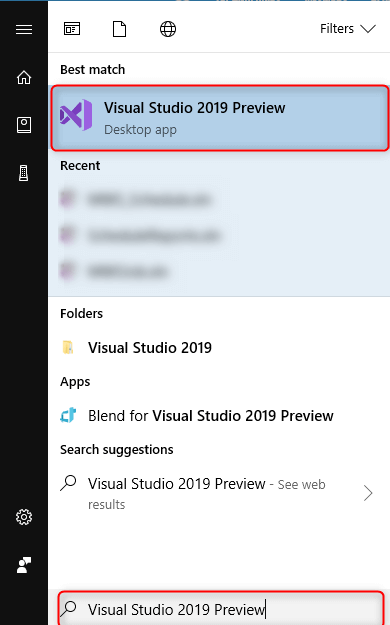 It will install .NET Core 3.0 runtime (if it not installed on the machine). Step 4 - Install NuGet packages. We need to install the below packages. In the Interface folder, add a new interface namely "IDapperHelper" and copy the below code and paste in that class. In the Helper folder, add a new class namely "DapperHelper" and copy the below code and paste in that class. Here, we created a Dapper helper which we will use to communicate with the database. Create a new folder named "Context" and add one class "DataContext" which extends from the DbContext class. Copy the below code and paste inside "DataContext" class. Create one folder named "Entities" and add a class, namely "Job". Copy the below code and paste into the "Job" class. Create one folder named "Models" and add a class "JobModel". Copy the below code and paste into "JobModel" class. Add IJob interface, "IJobService" inside the interface folder which we created before. Below is the code of the interface. Add a new folder named "Services" and one class inside that folder. The class name will be "JobService". Below is the JobService class code. 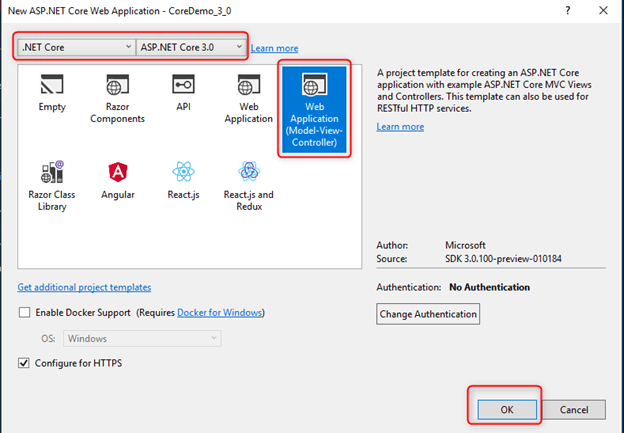 Add a connection string into the appsettings.json file. Here is the code of the appsettings.json file. "DefaultConnection": "data source=. 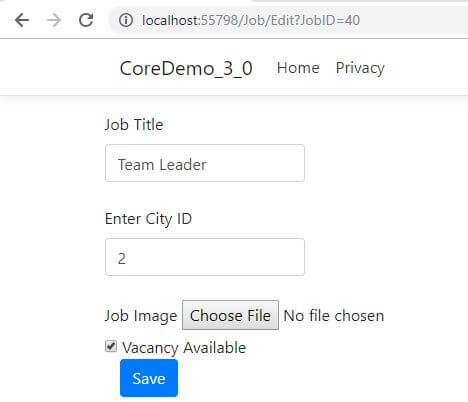 ;initial catalog=CoreMaster;User Id=sa;Password=******;"
Now, we need to add a connection string context and register our services. It's now time to add a Job Controller inside the Controllers folder. Below is the full code of JobController. It is time to add a ViewController inside Views > Job folder. Below is the code for all views of JobController.